Google Play store has become the breeding place for android virus or simply malware. Millions of Android phones get infected each day by downloading these infected apps. Only recently, in January this year to be precise, nearly 60 Android apps existing in Google Play store were found to be infected. Under such circumstances, it is quite important to install antivirus software on your Android device, so that it stays protected against various security threats, including zero-day attacks. In this blog, let’s take a look at some of the measures using which Android users can keep their devices safe. 1. Put Your Android Device In Safe Mode: One of the best ways to safeguard your Android device is to ‘put it into safe mode’. While in safe mode, third-party apps on your phone are prevented from running – including any malware which may be present on the device. The method involved in putting your Android phone into safe mode might vary depending on the phone you are using. So it’s best to google and find out the answers. 2. If Infected, Remove Malicious App’s Administrator Privileges: If somehow you realise you’ve been infected, the first thing you should do is remove the administrator privileges of the malicious app. Because, as you probably know, it’s pretty bad to allow a malware-infected app to carry on using administrator privileges. 3. Then Uninstall The App: Next, uninstall the malware infected app. Again uninstalling is pretty easy and depends on the model of the Android phone you are using. Mostly uninstalling is pretty easy – usually, involves a click of a number of buttons. But, sometimes it may be greyed out – this means the malware has given itself administrator privileges. This is the reason why we mentioned removing administrator privileges ahead of uninstallation. 4. Use Android Antivirus: It’s always better to be safe than sorry. So instead of going through the above steps (except 1 which is quite helpful), you can choose to install Android Antivirus software like Comodo Antivirus which can protect your device against various malware threats – including zero-day attacks. 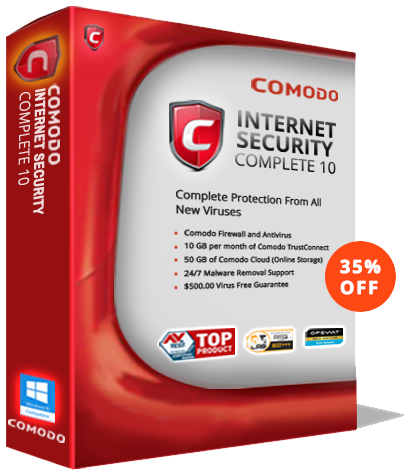 Comodo Android Antivirus which comes equipped with impressive security features like Anti-theft, Backup, Traffic Monitoring, Software Manager etc., makes it one of the best antivirus software within the IT security industry.The Comodo antivirus is available for free and it also offers the Android device management feature to locate your lost devices.